Here are some of the prices we have collected on building costs here in the UK. The prices are based upon user input and personal experience and are guides to the rough pricing rather than exact figures that you will pay. If you have any of your own data to feedback to us then please do so below. How much is my house extension, home renovation going to cost me? This is the question most frequently asked by people looking at getting a house extension. To be honest at the start of a project it is impossible to quote building costs without working drawings and a list of materials, fittings and fixtures. And finally, there is the point of location, location, location. For example, a House Extension in London may cost more than a House Extension in Manchester, only because the cost of building is greater in London than in the North West. However, considering that planning permission and drawings from start to finish wil usually wind up at about £1,500 give or take some, the prices below will give you the averag costs for a house extension. The rest is up to you and your preferences in the refurbishment of the interior. As mentioned above, the bottom line when planning any building project is ‘How much will it cost’. Loft conversion prices vary from region to region within the UK and, of course, no two conversions are likely to be the same. But, we can use some ballpark figures and rule-of-thumb. The first, and arguably the most important, is that by building a loft conversion you should immediately add at least the amount you spend onto the value of your house. Figures released in July 2006 show that a loft conversion which incorporates a bedroom and en-suite bathroom can add up to 20% to the value of your home. These figures show true to date. Click here for more information on raising property value of your home. In London loft conversion prices usually cost up to £50,000 though throughout the UK the average seems to be around the £20,000 – £35,000 mark. These costs are when employing a specialist loft conversion company and they can be drastically reduced by doing some of the work yourself. Much of course depends on the type of conversion. For example, a basic storage solution can often be done in just a day or two and there are some specialist loft conversion companies who will, for around £1000-2000, install joists, a new hatch, lighting and a loft ladder in just 24 hours. 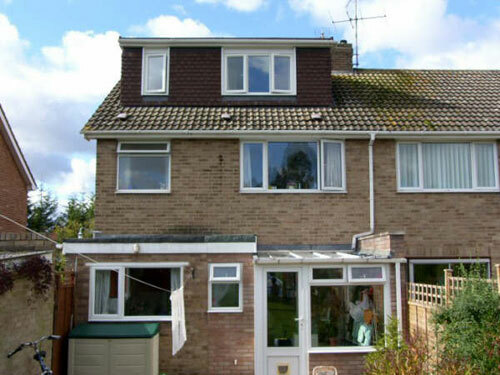 But, for a full scale, and well built loft conversion, loft conversion prices are usually somewhere between £19-£50,000. If you have any questions regarding your building or refurbishment project feel free to leave it in the comment section below.